FOSS4G UK 2018: A success! After 6 months or so of collaboration FOSS4G UK 2018 finally happened! I was a small part of the dedicated team who brought the conference together and it was an amazing experience. Thanks to James (@JamesLMilner), Tom (@tomchadwin), Isabel (@IsaUlitzsch), Sam (@SamRFranklin), Max (@GeospatialMax) and Dennis (@goldrydigital) as well as Jo Cook and Steve Feldman who gave us occasional nudges in the right direction with their experience from FOSS4GUK 2016 Southampton. Organising the conference felt a bit like organising a wedding(!) in that once we had picked the date, location, catering and sorted out the guest list, the rest more-or-less fell into place! Not that I intend to do either again in the near future! Unfortunately I wasn’t around for the team photo on Friday, but I was there in spirit! The conference itself went amazingly well and it was great to see so many people there who were so enthusiastic about open source geospatial software. Unfortunately I was only able to attend Thursday, but I managed to take part in some great workshops on pgRouting and Satellite Data, learn some new things, make some new contacts and baby sit the room-to-room live feed! 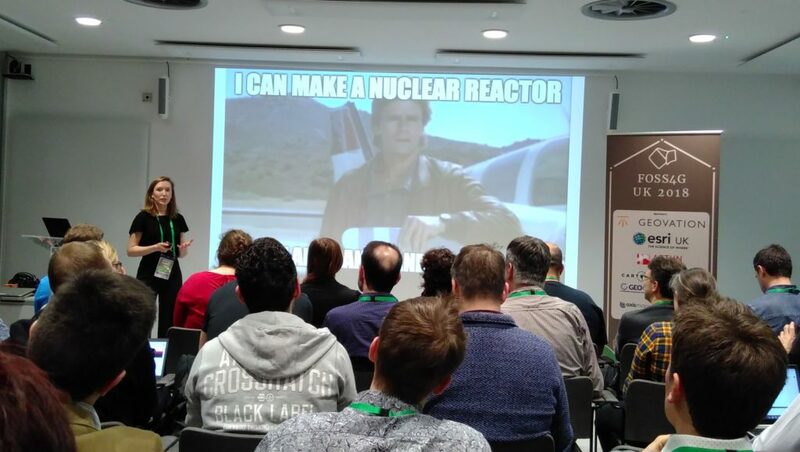 MacGyver putting in an appearance at FOSS4GUK 2018 in Mathilde Ørstavik’s Keynote talk on Extracting intelligent information from aerial images using machine learning. 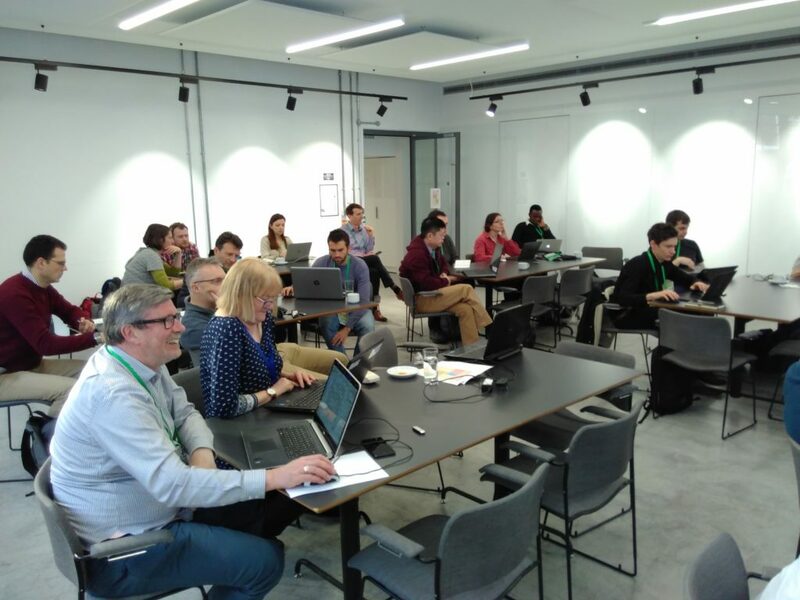 Everyone hard at work in the pgRouting, PostGIS and QGIS workshop. We will post links to all the slides and material we can on the website – if yours are not there yet, send them over or submit a PR. I do hope we can do this again, and if people would like to volunteer for the next conference, please make yourself known! If you’d like a chat about potential for OS Geo training for individuals or groups, please do send me an email nick@nickbearman.me.uk or give me a call on 07717745715. 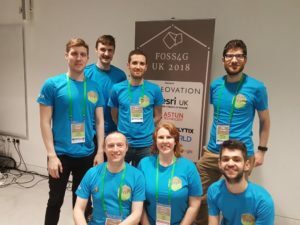 This entry was posted in conference, FOSS4G, open source on 12 March 2018 by Nick.